I'd trust Greg all the way on this. I happen to switch among the two Davis recordings and the Dutoit recording (I own all three) and every time Dutoit is the most satisfying both in performance & recording quality. At gunpoint I will confess: Davis' interpretation & recording verges on dull side & Vive la France, vive Berlioz, vive Dutoit!!! I happen to switch among the two Davis recordings and the Dutoit recording (I own all three) and every time Dutoit is the most satisfying both in performance & recording quality. At gunpoint I will confess: Davis' interpretation & recording verges on dull side & [COLOR="#0000FF"]Vive la France, vive Berlioz, vive Dutoit!!! I have all three as well- and know them like the back of my hand. So, the absolute opposite analysis and conclusion for me: Davis first, and second, and third. Dutoit didn't even show up for the race. I really like that (musical) tastes do differ. Don't worry, be happy. This has just been released by Malibran, on two CDs. I was under the impression that Chauvet and Crespin had just recorded highlights- but this looks to be very extensive highlights indeed. Has anyone heard it? Is it good? I have a similar one, also with Crespin and Chauvet, but conducted by Pretre, where she did both Cassandre and Dido excerpts. I can only speak about Crespin here, that I am not impressed at all. As a Dido, she is cold and uninspired, just as in her popular DECCA Les nuits d'été (in which Eleanor Steber and Janet Baker are superb- the latter is also a great Dido). For a Cassandre, her singing is too generalized, not to mention that she screams hysterically (!) at the end of the Trojan march. Thanks, Silentio- it sounds like the new Malibran set wouldn't be worth paying full price for. I'm pretty happy with the Beecham recording, and it was only the Youtube clip of the Crespin/ Chauvet love duet that made me think that a complete recording with those two singers would be a nice thing to have. Based on what you say, I doubt Crespin is any rival for Marisa Ferrer. 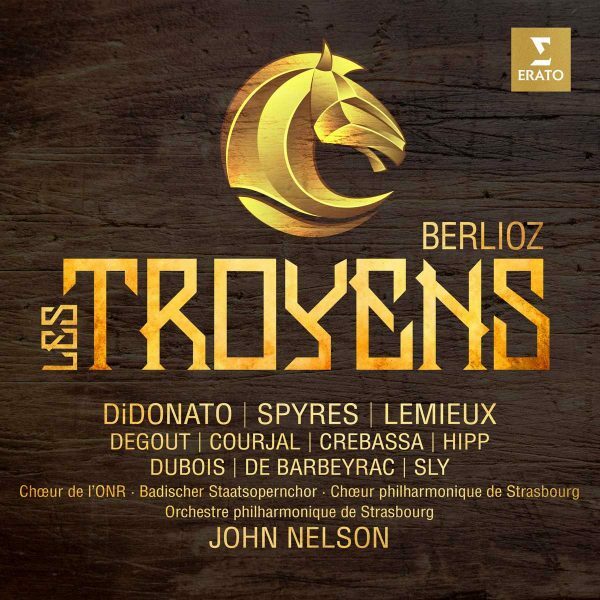 The only complete role I've heard Crespin in on CD is Desdemona- she sings well as far as I recall (I was too preoccupied with lusting after José Luccioni to pay much attention to the rest of the cast ) and she is moving in the Willow Song. Still, Chauvet is no Luccioni (although I enjoyed his complete recording of Sigurd very much) so I will probably wait for a cheap used copy to show up and stick with Beecham in the meantime. I had read this grand French opera as one of the pinnacles of the genre. I had given a go to the Philips Davis recording a long time ago without libretto and ignored it until this month. The opera never interested me but I made an effort to read and understand the plot, and then watch two performances: a dull Pappano DVD from Covent Garden with great staging but dire singing, and a subtitled Gardiner Paris DVD with brighter orchestra and singers and baffling staging (for better or worse). This opera’s style was for me mid 19th century with pretty singing, less drama but interesting orchestral parts in the finales, ballets and the Royal Hunt. It never won me enough to consider it a worthy experience over other works, but I had the will to listen to the studio recordings and decide my favourite. I’d like to point out that while it was hard not to feel bored while watching Act IV. But without images in front of me, it’s musically very rewarding: Royal Hunt, Ballet, Iopas’ song and Didon & Enée love duet. 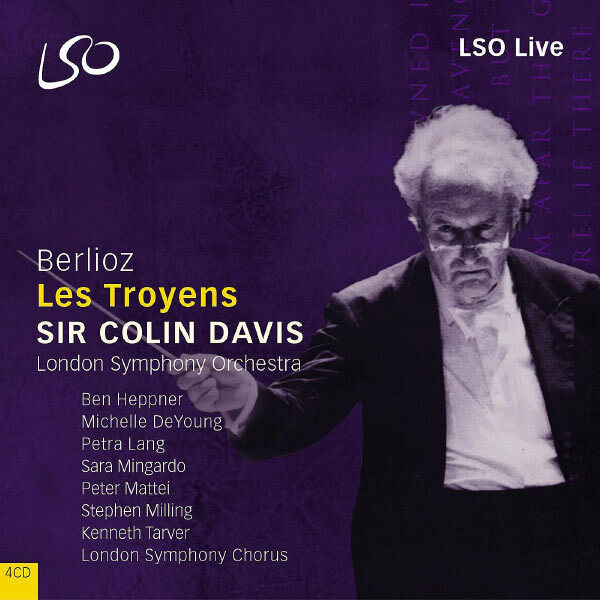 The two Davis recordings are in terms of Cast quite superior to the others, but the sound and engineering balanced my decision in favour of the LSO recording. They are both superbly played but from the beginning, the Philips recording has that analogue sound issue. Dutoit can be enjoyable in cast and sound without impressing but acts IV and V are growers. The new Nelson Strasbourg is a great try which seems just fine in Act I but grows a lot in Carthage. You should give it a listen too, just for DiDonato (unless you feel she’s over-the-top). This first digital recording didn’t impress me more than the videos, but the Carthage Acts were better sung for me. Pollet’s Didon is well performed but she is swallowed by the orchestra in the decisive Scene 2 of Act V. Act IV takes off and entertains better than the other three. Lakes’ Enée and Voigt’s Cassanndre are not quite nice for my ear. 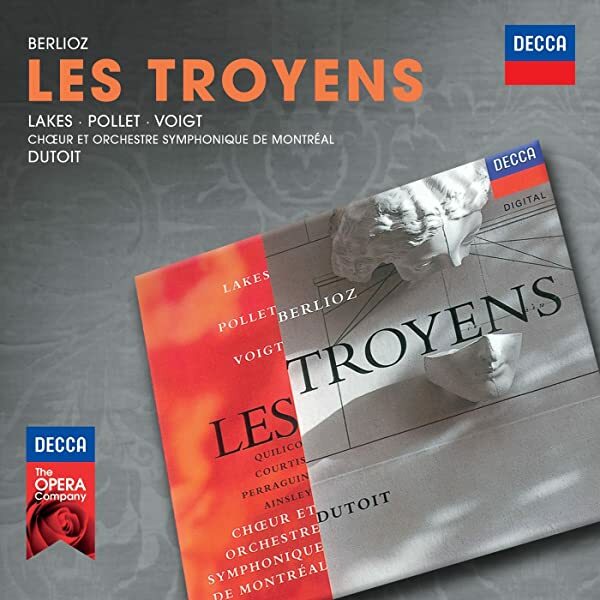 The new Erato recording that finally adds a Troyens to the Warner catalogue is a grower. Don’t misjudge too early the performance of Lemieux’s Cassandre. I didn’t like at all her Act I and didn’t have a great partner in Degout (Chorèbe). She was quite improved in Act II. However, the rest of the singers, although they can be a bit pushy for others, do their best and succeed, especially Joyce DiDonato as Didon. She is the star from her first line in Act III and well partnered by Anna and Narbal. She grows from beauty to melodrama and her dramatic performance in Act V is hair-raising. She is the climax of the recording, like, about to burst. Cyrille Dubois is a cool Iopas. Michael Spyres rarely becomes the main character of the recording but his Enée is intense (a bit pushy too), without a dull moment from Act I onwards. My highlight is the complete Act V, where the singers shine. My issue with the recording is a sound quality in the chorus that never expands as much as the LSO Davis one, and a conducting and orchestral playing that is two floors below the winning material. The climaxes, put in comparison with others, often lose grip. Live recording by compilations in the orchestra hall with no audience. This fan-favourite cannot be ignored in the challenge and delivers a great musical performance, arguably the best vocally. It features the legends of Veasey, Glossop, Lindholm and Vickers. Where I hold my horses is in the analogue recording quality, because I feel it’s too restrained or maybe it’s not enough to have clear double-basses if the orchestra cannot expand enough in my headphones. Others do better. If I doubt the championship of this recording is because other contenders offer almost equal singing results, if one forgets the nostalgia for the good old days of Vickers and Lindholm, who nail their roles but they are challenged anyway. Vickers is Enée and is certainly heroic. Act V is rock-steady dramatic for the two main singers. I personally find this Digital and High-Quality recording to be more compelling than the Philips commercial recording. The modern sound the opera deserves: bright and expanded. Orchestrally sublime. I didn’t fall in love but the quality is undeniable in the singers. I wasn't expecting a lot for them, but feats like Lang, Mattei and Heppner (Cassandre, Chorèbe & Enée) elevate the performance to the seemingly unreachable heights of the Philips recording. Petra Lang sings a Cassandre I would never imagine, over Lindholm. Heppner can be put on par with Vickers unless you are a fan of the latter, of course. And DeYoung improves as Didon in Act IV and nails the tough Act V. I can’t decide between Veasey and her. And some remarks: it’s live without audience and at the end of Act IV, the three 'Italie's by Hector’s spectre are sung in the foreground. 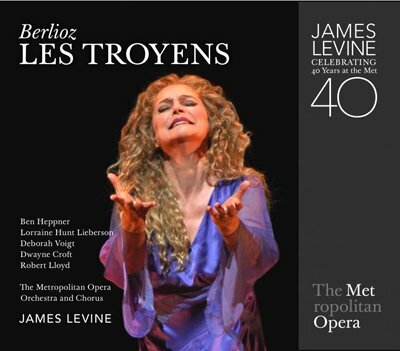 I don't think I will get a Troyens CD set any soon. I'm sorry. It's on my list of Great operas I don't like together with Die Meistersinger von Nürnberg and Der Rosenkavalier. I think the first Davis is the preference, though I wish all principals had sounded more French (especially Lindholm). 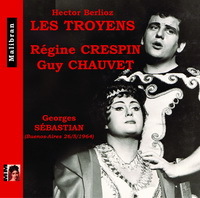 I recently discovered a personal favorite given to me as a gift, which is the 1969 live performance at Rome with Gedda (Enee), Verrett (Didon), and Horne (Cassandra) conducted by Pretre. This is one of Gedda best nights: he had the stamina (the high C in "Inutiles regrets" was thrilling) and was intelligent as always. In addition, his French was better than of Vickers, for sure. Even though I am not a fan of Horne in Italian bel canto roles which were later associated with her, I often think her "nasal" singing makes her more suitable for French opera, and here she delivered a strong Cassandra. Along with Gedda, Shirley Verrett was the star of the night: she gave and moving and nuanced Dido, which I prefer to both DeYoung and Veasey. Verrett's smoky and warm reading is pretty much the antithesis to Crespin's silvery tone but emotionally detached singing. It is a shame that she didn't record more Berlioz, except for a few arias in her studio recticals. The supporting cast included Massard as Corebus and Luchetti as Iopas. This Troyens was cut, but the cuts were only for the ballet sequences which I don't care for. The sound quality is quite amazing, no stage noise and coughing. Now, the only factor that makes this performance a tad lass then ideal is the conducting of Pretre. He was energetic and exciting in faster sections, but I have no ideas why he seemed to race through the more lyrical and slower parts of the score (the love duet in Act 4 was ridiculously rushed). In any case, as of the second Davis, this Troyens benefits from having the atmosphere of a live performance. Last edited by silentio; Apr-30-2018 at 02:46. For me the Nelson set, fresh sound and good voices, rises above mediocre. What lets this set down for me, apart from the cuts, is Prêtre's conducting. He has no sense of the structure of the piece, and his pacing is all over the place, alternatively too fast and too slow. I agree about the cast though. Too bad Prêtre ruins it for them. I also agree about the first Davis still being better than the second. One of my main problems with the second Davis recording is De Young's Didon, as I find her vibrato altogether too intrusive. As it happens my favourite Didons are both on recordings that are otherwise not really recommendable. Janet Baker only got to record the last scenes, in a superb disc conducted by Sir Alexander Gibson, but she can also be heard in the complete role in a live performance from Covent Garden, in which she was deputising for Josephine Veasey. Unfortunately she is singing in English (she had just been singing the role in English with Scottish Opera, and didn't yet know it in French), whilst everyone else is singing in French. She is nonetheless a great Berlioz singer. Much of the cast is the same as Davis I, a welcome exception being Anja Silja instead of Lindholm as Cassandre. My other favourite is the late, great Lorraine Hunt Lieberson in an otherwise not particularly recommendable version from the Met. Levine is another conductor who doesn't really have the measure of the score, and none of the other singers are quite on Hunt Lieberson's level. I like Verrett very much, but I find her performance a little too outwardly operatic, a little too italianate. Baker and Hunt Lieberson are both more regal and more innig. Last edited by GregMitchell; Apr-30-2018 at 09:09. Last edited by silentio; Apr-30-2018 at 14:55. I don't think Lindholm is as bad as some of the reviews of the first Davis set made her out to be but for years she was the only singer I had heard in the role. I am intrigued by the idea of Anja Silja singing the role; I only heard her live once, towards the end of her career, singing Emilia Marty at Glyndebourne and she was superb. Anna Caterina Antonacci (Gardiner and Pappano, both on DVD) is my current favourite for the role of Cassandra. 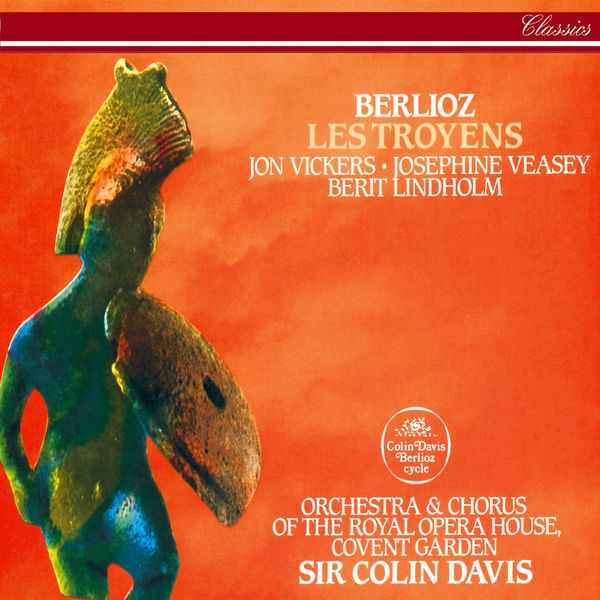 Though I adore Janet Baker I have a mental block regarding the Trojans excerpts with Gibson; so many people love that album; I will probably have to go back to it and try again. I will have to listen to the Verrett excerpts as soon as I have the chance, not convenient right now.